One of the many things I love about summertime in Wisconsin is the endless options when it comes to family activities. 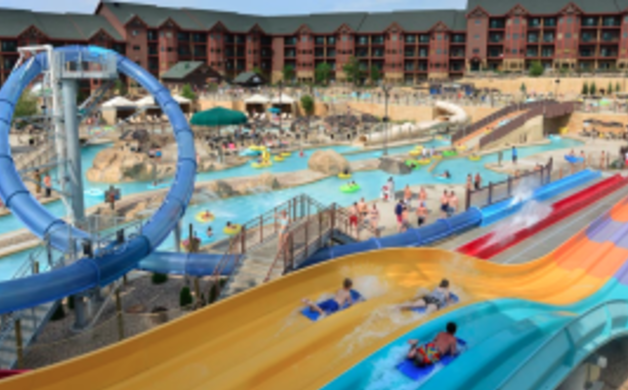 I recently had the opportunity to spend some fun and completely refreshing quality time with my family at The Wilderness Territory in Wisconsin Dells. I’d visited The Wilderness Resort several years ago in the winter months, yet have never really considered it as a summer destination until now. Huge mistake! The Wilderness has officially become one of our favorite year round destinations. 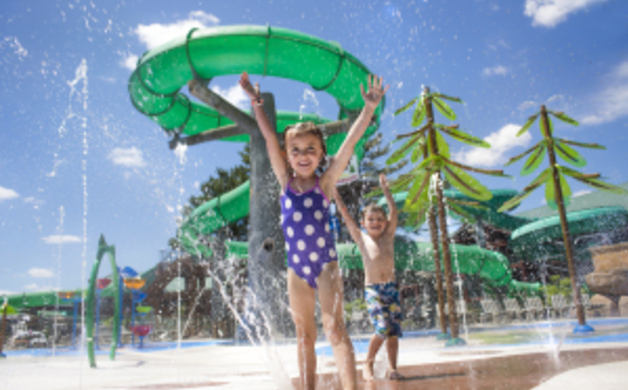 With plenty of slides, an amazing wave pool, relaxing lazy river and adorable play-and-spray areas perfect for little tikes, there are tons of activities to explore. Upon arrival at the log cabin inspired resort one of the first things I notice is how friendly and thorough the guest service staff was in spite of being very busy, which set the tone for a positive experience. Having arrived early in the afternoon, prior to our room being ready, we were given all the necessary information including a map, directions to the closest entry point to our room, and the coveted water park passes that my girls are still wearing a full 7 days later as a constant reminder of the fun we had. The friendly young lady at the desk explained we would be notified via text (or voice message) when our room was ready, so why waste any time? Within minutes of checking in, we were floating around the Lost World Adventure River. By the time we got around the Adventure River once and back to our lounge chairs we had already received a text that our room was ready. 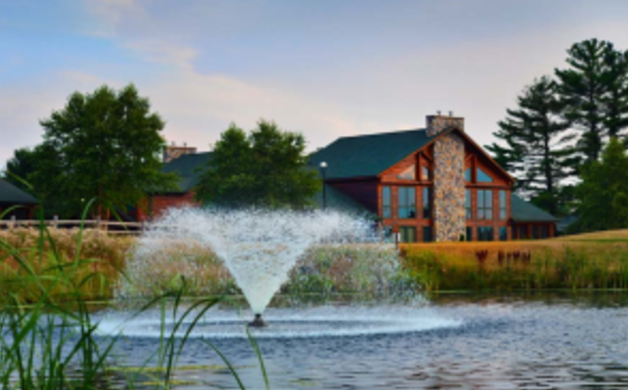 For those of you who just like to cut to the chase, here’s the short story; The Wilderness Hotel and Golf Resort in Wisconsin Dells is flat out amazing year round fun. Billed as America's Largest Water Park, it offers over 500,000 square feet of indoor and outdoor water park space. My biggest regret is not having more time to explore all the things The Wilderness has to offer. Although very well known for it’s indoor and outdoor water parks, including the nations largest indoor wave pool, The Wilderness offers other super cool entertainment opportunities including lazer tag, pottery painting, zip line tours, a mega arcade, a sky rope course with 42 challenges in varying degrees of difficulty, 3-D black light mini golf, and my favorite Timberland Play Park, a four-story dry foam (think Nerf) interactive play area. It’s all sorts of foam ball craziness and fun. There’s also an award winning championship 18 hole gold course and 9-hole golf course, ice cream parlor, gift shops, a candy store, restaurants, coffee shops and pubs. You could seriously play, eat, drink and be merry for days! Parents and kids have endless activities to explore. If you’re interested in some of the fun beyond the indoor and outdoor water parks, I’d suggest considering a Wild Fun Pass. For just $19 you receive a card that allows you one admission per indoor attraction and can be used by anyone in your party until you’ve used up the card. It’s a pretty sweet deal! 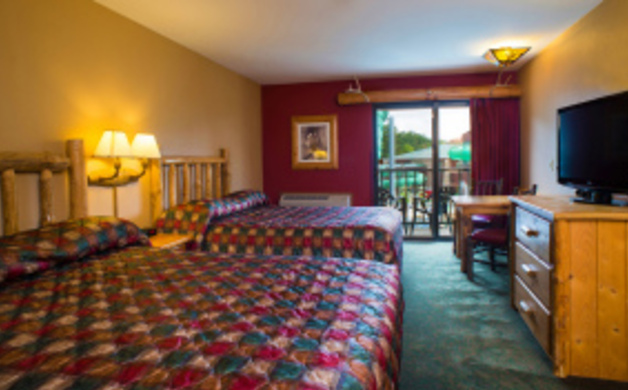 Accommodations at The wilderness are clean, comfortable and offer something for every size party including comfortable guest rooms in the main hotel, beautiful 2000 square foot log theme villas, 2300 square foot 4-5 bedroom cabins, and premier 2-3 bedroom Condos that overlook Lake Delton. We stayed in the guest room which featured in-room refrigerator, microwave and two color televisions, along with private balcony, hairdryer, coffee maker and supplies, wireless internet, two double beds and an area with a hide-a-bed and wet bar. The room, including bathroom area, were immaculate. My personal favorite water slide was the Lunar Loop drop slide located in the Lost World outdoor water park. It's just the right balance of scary and exhilarating. One of the awesome things about The Wilderness is reduced time in line. I was in a continually moving line for the Lunar Loop no more than 10 minutes compared to a 45 minute wait to try a similar water slide at another Wisconsin Dells water park. Who wants to spend so much of their day standing in line? With the cost of admission at parks that don't offer hotel accommodations, you definitely get more for your money, and a ton more entertainment options at The Wilderness Hotel & Golf Resort. My girls loved Halley's Comet racer slides. Of course, parents have the advantage being heavier, but I think that's a secret Moms and Dads should just keep to themselves. The Timberland Play Park, which doesn't cost guests any extra to enjoy, is ah-maze-ing! Parents can run and play with the kids or sit back and relax in the seating area while the kids burn off whatever energy they have left after a full day of water park fun. The next time we get back to The Wilderness Hotel & Golf Resort we'd definitely like to check out some of the indoor attractions we didn't have time to explore. The Northern Lights Sky Ropes Course looked super fun, and we ran out of time before we were able to get our creative juices flowing in the paint your own pottery area; our next trip back this winter will give us another opportunity to check out all the fun things we missed this time. I can honestly say that I am looking forward to more fun, memories and family time at The Wilderness Hotel & Golf Resort. We had a really awesome time! A special thanks to the Wilderness Hotel & Golf Resort for providing our family complimentary lodging and daily waterpark passes. 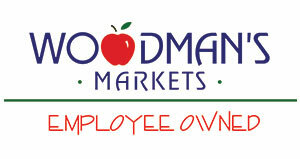 Wisconsin Parent does not endorse any establishment, event, organization or venue we wouldn’t take our own families to.